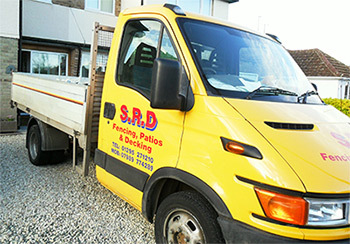 SRD Fencing & Patios are leading installers of Commercial & Domestic Fencing, Patios, Driveways & Decking. We are also experts in Landscaping & Garden Clearance. Offering high quality workmanship within Oxfordshire, Warwickshire and Northamptonshire. We are a family run business which was established in 2001. We are registered and fully insured company that have built up a positive reputation. We provide fencing and fencing components that looks good, fits its purpose & will last. We will provide you with the reliable service you need taking your budget into account. Whether you are looking to tidy up your garden area or have a complete new driveway we are here to offer good honest professional advice. We can work to your own design, or we can suggest designs for you. “We take great pride in our work & we aim to compliment your home and make the most of your garden”. Thank you for your interest & we look forward to speaking with you soon !